The Trump administration has launched a bold effort to up-end water policies in the Central Valley and the Sacramento-San Joaquin River Delta, calling for big changes that would favor farmers over endangered species in allocating water. Helping craft the administration’s new approach: Deputy Interior Secretary David Bernhardt, a former lawyer and lobbyist for the Westlands Water District, which is the nation’s largest agricultural water district with 600,000 acres of farmland in Fresno and Kings counties. As CalWatchdog reported in June 2017, the prospect of having Bernhardt overseeing the federal government’s California water policies was opposed by nearly all Democrats in Congress because of his history. Meanwhile, to GOP lawmakers from the Golden State, his nomination was seen as confirmation of Trump’s 2016 campaign promises to abandon the old status quo involving Central Valley agriculture. The Oct. 19 memo signed by Trump reflected Bernhardt’s years of calling for lesser regulatory burdens, specifically including long-lived protections for endangered species. It underlined the determination of the Trump administration to make sure farmers got more water. The memo also ordered that major water projects receive faster environmental reviews. Trump signed the memo before a campaign rally in Arizona while flanked by three California House members – Majority Leader Kevin McCarthy of Bakersfield, Jeff Denham of Turlock and Tom McClintock, who represents a wide swath of Central and Eastern California. All have denounced what they see as excessive federal deference to environmentalists – including by the George W. Bush administration, not just the Obama administration. “This will move things along at a record clip, and you’ll have a lot of water,” Trump assured them. But veterans of the water wars – including those who back Trump’s new policy – have warned farmers not to get their hopes up for the rapid changes the president predicted. More modest changes in policies by the last Bush administration were fought in both federal and state courts by well-funded environmental law firms. They won not just stays of federal orders but full victories from judges who agreed with their interpretation of Congress’ intent when it adopted far-reaching water laws last century. The idea that governments can consider such economic factors when interpreting laws has been one of the favorite legal arguments of conservative and libertarian law professors since it was advanced in 1973 by Richard A. Posner, who went on to serve 36 years as a federal appellate judge and to emerge as one of the most important and provocative legal thinkers of the 20th century. If there is any evidence this philosophy is leading to new Trump administration interpretations of federal laws, a strong legal challenge is certain – not just because of what it would mean for water policy but because it would give business interests a powerful new tool to challenge a wide range of laws that create economic burdens. Posner’s most crucial, basic claim – that the “common law” that is the basis of the legal system holds efficiency as a value – is scoffed at by many legal academics. A Stanford law school analysis that was otherwise sympathetic to Posner’s theories says it is based on “ambiguous” precedents. The fight over the Posner-Bernhardt view of the law is in some ways the reverse of normal fights over the extent of judicial authority. Democrats say the claim that “efficiency” is part of how laws should be interpreted was invented out of whole cloth, with no evidence it reflected the wishes of the nation’s founders. This is the line of argument often made by conservative strict constructionists, who reject the idea that the Constitution and other long-standing laws are “living documents” subject to new interpretations because of changing circumstances. It feels every election Californians are voting on another water bond — and passing them. This November Proposition 3 is on the ballot, placed there through the initiative process. The state has plenty of unspent water related bonds. Shouldn’t we use the billions authorized for past water bonds yet expended before adding more billions to the state debt? This bond would generate $8.89 billion for a number of water related projects including water quality, watershed and fisheries improvements, surface water storage and more at a total cost to taxpayers of $17.3 billion once the bonds are paid off with interest 40 years later. It’s hard to complain about the initiative’s goals but the costs should be put into context. Since 2000 California voters have approved $31 billion in water and environmental projects using general obligation bonds. That’s money that comes out of the general fund used for all other services the state provides and GO bonds have first call on general fund revenues. About $10 billion of the $31 billion has not been allocated. That includes $4 billion that voters okayed as recently as the June primary election. In 2014, voters passed a ballot measure to reallocate unsold water-related bonds and authorized $7 billion for water purposes. Few have been sold by the state. When do we say stop and use the resources at hand? Of course, water is important to California’s quality of life. Water has been an important and contentious issue since the state was born and still is today. Just consider the fight that is brewing over Jerry Brown’s proposed tunnel project. But, by continually passing water bonds, especially those placed on the ballot through the initiative process, there is no overall management plan to deal with water issues. Do voters consider the size of the state’s bond debt when voting on measures such as Prop 3? Hardly. If the proposal sounds good they support the idea and vote yes. Californians should be concerned with water issues. But let’s spend money already authorized and let’s have better planning before jacking up the state’s general obligation debt. Another new tax is headed for your water bill, as if it wasn’t high enough already. Gov. Jerry Brown has been trying to push through a statewide tax on drinking water, the first ever in California history, and as you might imagine, it has been a challenge for him. People are fed up with new taxes. That was demonstrated very convincingly in the June recall of state Sen. Josh Newman, D-Fullerton. All the political tricks that were employed to save him — delaying the election, allowing voters to withdraw their signatures on petitions, lifting the cap on campaign contributions from other politicians — failed to prevent voters from firing the politician who cast a critical vote in favor of a huge increase in gas and car taxes. That tax hike will face its own reckoning in November, when voters will have the opportunity to repeal it by passing Proposition 6, a ballot measure that also mandates voter approval of any future attempts to raise those taxes. But despite the clear anger of the voters, or perhaps because of it, the trickery continues. Here’s the trick: Unless you opt out of paying it, you’ll pay it. How do you opt out? It will be up to each “community water system” to figure that out, but you can bet the cost of the new paperwork will be added to your water bill some other way. The purpose of the drinking water tax is to provide clean water for about a million rural residents in areas where the groundwater is contaminated. That’s certainly important, and you’d think the state would fund that priority with some of the tax money Californians already pay. You’d be wrong. California’s not run that way. Instead, you pay the highest state taxes in the nation, Sacramento spends all the money on things voters would never approve, and then for anything voters think is important, Sacramento insists on a new bond or tax. Read your ballot this fall. Politicians are pleading for billions more to pay for water, veterans’ housing and children’s hospitals. No need to ask for more money to pay for state salary increases and Caltrans featherbedding — that’s covered already. Connected to the proposed water-tax legislation is SB844, which would impose fees on dairy producers and companies that manufacture or distribute fertilizer. The money would be deposited into the same “Safe and Affordable Drinking Water Fund” set up by the bill that imposes the water tax. The Agricultural Council of California and the Western United Dairymen are in support of these bills, as are the various environmental justice groups that are sure to receive grants from the new pot of money. 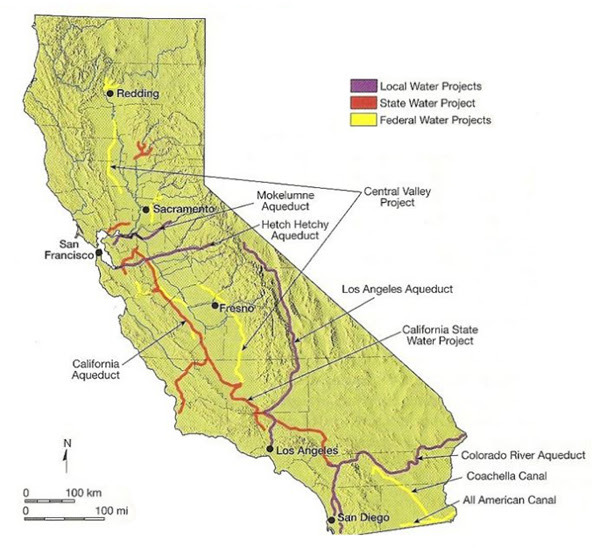 The Association of California Water Agencies opposes the legislation. Nobody asked the water customers for their opinion, but if you’d like to give it to them, call your representatives in the state Assembly and Senate. You can look up their names and contact information at findyourrep.legislature.ca.gov. Don’t delay. In Sacramento in August, legislation moves like you-know-what through a goose.